Thank you so much for the friendly, efficient and excellent service! They arrived, quoted on our job, removed the first load and came back the next day and finished the job! We highly recommend this hardworking, reasonably priced company. Disposable garbage that can be recycled is recycled. Unwanted junk in good condition is donated to local charities. 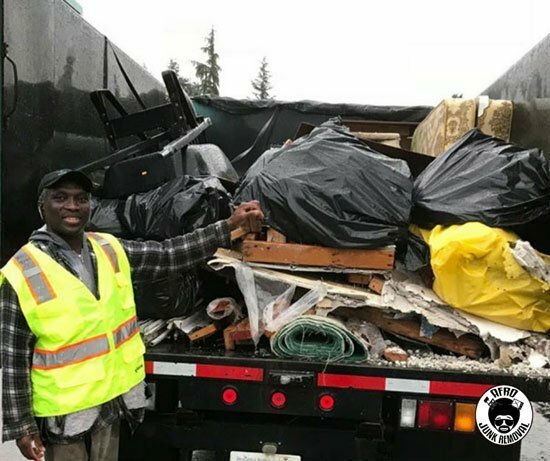 Afro Junk Removal’s waste management services include competitively priced weekly, bi-weekly and periodic private home garbage pickup services. I could not imagine a better service: fair price, come exactly when they say, efficient, and even clean up the space. My daughter discovered them and we were so pleased when we used them. When I needed them again, they came the same day. So friendly, totally fair and fast. We accept all size garbage removal and rubbish removal jobs. No job is too big or too small for us to handle.